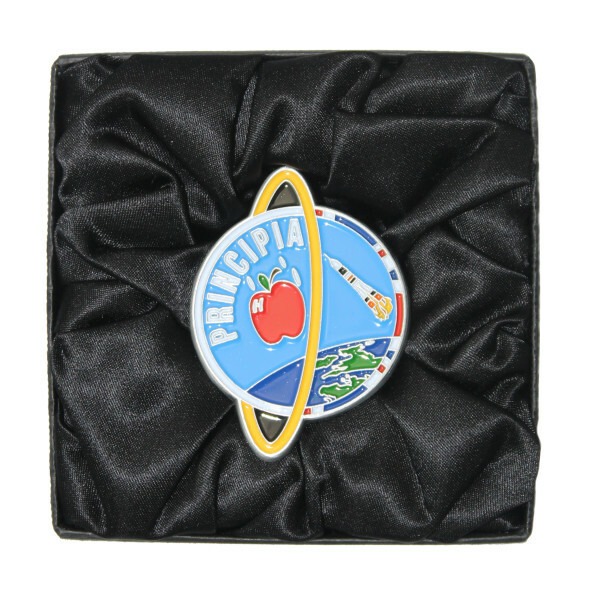 Commemorative coin featuring the design of British astronaut Tim Peake’s Principia mission patch. It was flown with Peake during his mission in December 2015 – June 2016 on board the International Space Station. 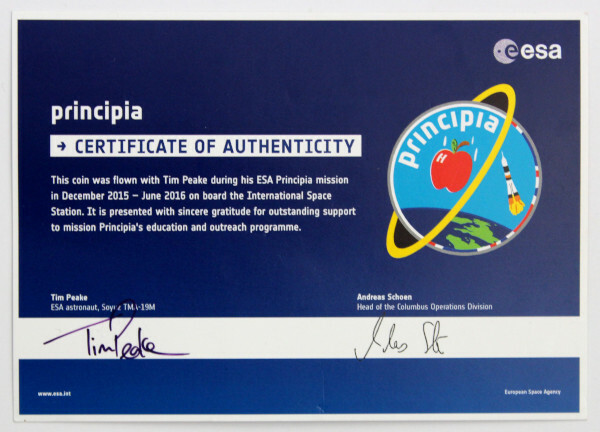 It is accompanied by a certificate of authenticity signed by Tim Peake. 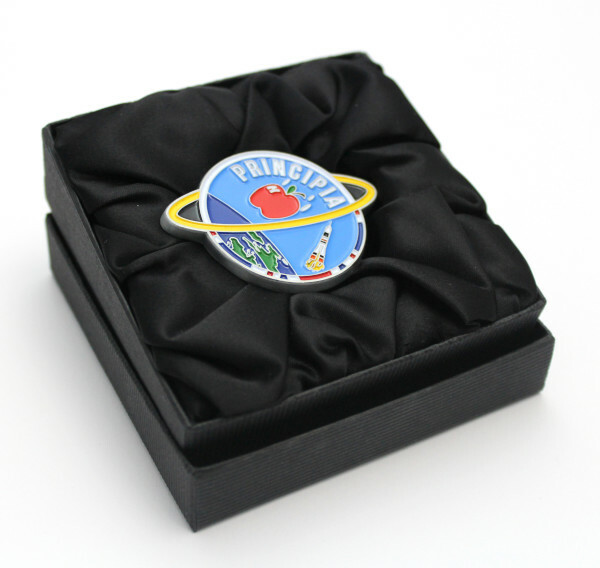 Peake presented the coin to the National Space Academy for outstanding support to mission Principia’s education and outreach programme. The National Space Academy’s education project, Astro Academy: Principia, provides science teachers with a suite of content they can use to teach fundamental aspects of physics and chemistry, using footage of specially designed experiments that Peake performed in space. The National Space Academy's General Manager, Dr Kierann Shah, donated the coin to the National Space Centre’s permanent collection. "I wanted the coin to become part of the story" she said "so that now it is part of a collection of artefacts at the National Space Centre relating to the historic Principia mission. It reflects the reality that many people both at the National Space Centre and the National Space Academy were able to be a part of a mission that we know visitors, schoolchildren, and teachers will be interested in for a long time to come."